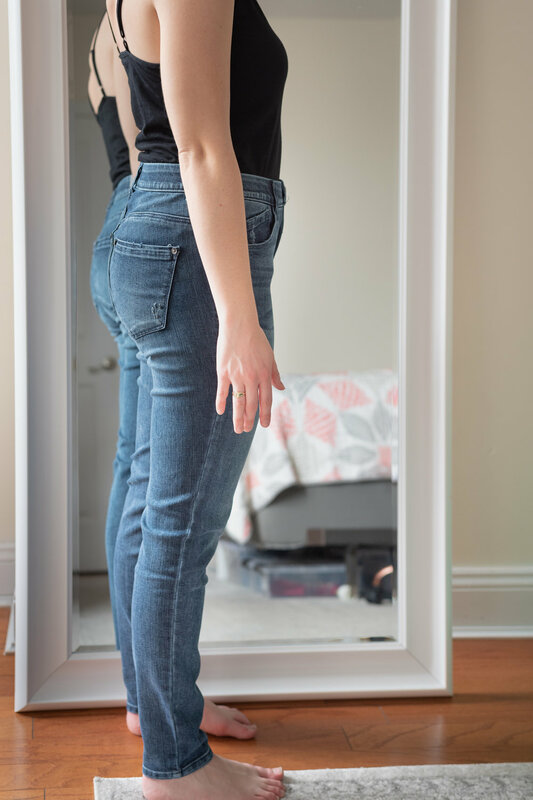 Super comfortable - The fabric of these jeans was so incredibly soft! Slightly too long - These jeans were a bit long on me. In the picture, you can see how they are kind of bunching up around the ankles. Slightly big in the waist - I have to admit these pants were a bit to loose in the waist on me. However, they had elastic sewn into the waistband, which helped to hold them up. I probably needed a smaller size. Verdict: Buy, but size down. 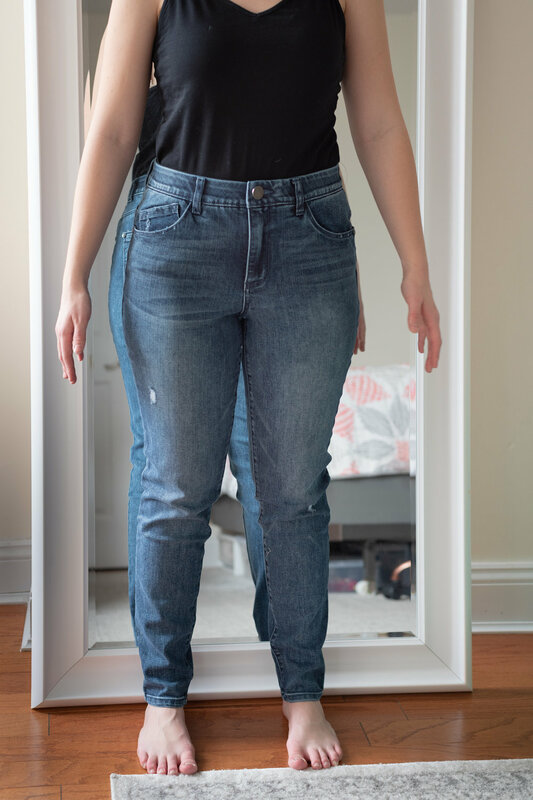 Fit - Compared to the straight leg version for the Ab-solution jeans (above), the skinny version fit my waist much better. No gapping! This was super impressive because they are a mid-rise jean and I’m never able to find mid-rise jeans that fit me. Fit well in waist - Wow! I was super shocked when I put these jeans on because they *actually* fit me in the waist, which is a rarity with mid rise jeans. If you’ve been looking a mid-rise pair, I definitely recommend try this brand. Super comfy - Really loved how comfortable and soft the denim fabric is!